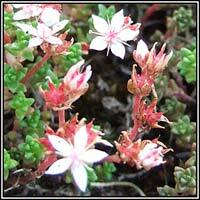 White flowers, pink below, 5-petalled. Red follicles. Fleshy evergreen leaves, red-tinged, alternate, egg-shaped. 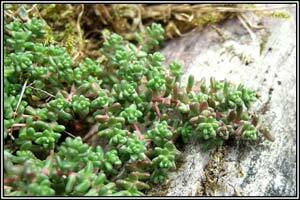 Spreading, mat-forming growth. Height: 2-5cm. 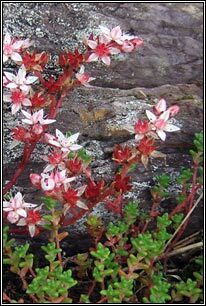 Locally common, acidic rocks, shingle, dry grassland. Found throughout Ireland. 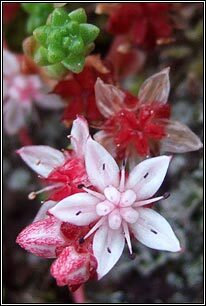 Similar: White Stonecrop, S. album. Small white flowers in branched cymes.